Is there a tornado season? The answer is “yes” with a BIG asterisk. That asterisk? Tornado season in your part of the country may be different than in another region of the United States. You see, unlike hurricanes, which generally form between June 1 and November 30 (a timeframe known as hurricane season), there is not really a defined “season” for tornadoes, per se. Tornadoes can develop at any time in the year (hurricanes can, too, though they are extremely rare from December through May). However, there are periods of time throughout the United States during which tornadoes are more likely to develop. #1 – When Is Tornado Season? Tornadoes are most common throughout the United States in the months of April, May, and June. Peak season for tornadoes in the Southeast is February through April. In the northern Plains, June through August is the peak period for tornado activity. In the Midwest and Ohio Valley, tornadoes are most frequent from early spring through summer. 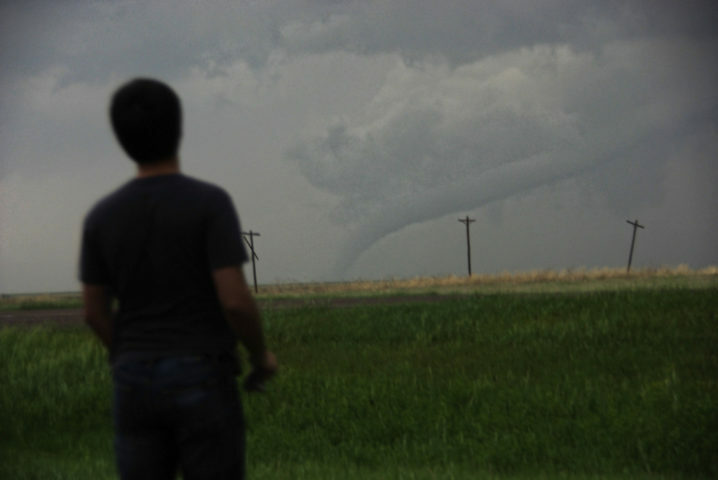 #2 – Why Do We See So Many Tornadoes In The U.S.? Of all the countries around the world, the United States records the most tornadoes each year, with an average of around 1,000. The United States has a unique geography, as there are no east-west mountain ranges. That’s unlike the case on the continent of Europe, for example, where the Alps generally divide much of that region into a “north” and a “south” and inhibit interactions between cooler northern air and warmer southern air. In the United States, however, cooler air from Canada will clash into warmer air from the Gulf of Mexico mainly in the regions of the Plains states and parts of the Southeast — which are relatively flat areas of the country. When that happens, turbulence can ensue. If conditions are just right, tornadoes are likely to develop. #3 – What Causes Tornadoes To Occur? Certain conditions need to be in place for tornadoes to occur. These conditions are most commonly found ahead of cold fronts and in low-pressure systems. However, they can also occur in more isolated storm systems, too. #4 – Where Is Tornado Alley & When Is Tornado Season There? Tornado Alley is probably one of the most notorious places in the United States for tornado development. Tornado season in Tornado Alley is generally May through early June, during which conditions are most favorable for tornado development. False. This is a myth. While the states included in Tornado Alley see a great deal of the tornado activity in the United States year in and year out, the state that actually experiences the most tornadoes each year per square mile of countryside is Florida (otherwise popularly known as Hurricane Alley). At least one tornado has been recorded in each of the 50 states. #6 – What’s The Best Way To Stay Safe During A Tornado? Meteorologists are learning ways to make earlier and better predictions about when tornadoes may strike, and tornado warning systems are more sophisticated than ever. If you’re in a house with a basement, you should get in the basement and take cover under a heavy table, desk, mattress, or in a sleeping bag. If you’re in a house without a basement, go to a central room without windows on the lowest floor and crouch as low to the floor as you can, with your face down. You can also hide under a stairwell. No matter where in the house you take shelter, you should cover yourself with a mattress or blanket to help protect yourself against falling debris. If you’re in a mobile home, head toward the nearest permanent building (NOT a mobile home) and take cover as suggested above. Again, there is NO safe place inside a mobile home. If you’re in a car or truck, there are very few safe options. If you are far from the tornado and there’s little traffic, you could try to escape from the tornado by driving away from it at right angles and then seeking shelter in a permanent building as suggested above. If driving away from the tornado is not an option, get out of your car and seek shelter in a ditch or gutter by crouching low and placing your hands over your head. As a last resort, stay in your car, buckle your seatbelt, and bend forward with your hands over your head. Again, staying in your car is very unsafe and is a dangerous last resort. #7 – You’re Safe From A Tornado Under An Overpass, Right? Wrong! Never… NEVER seek shelter from a tornado under an overpass! This was popularized in a widely seen video that first surfaced back in 1991. It was luck that the individuals in the video survived the tornado, which was relatively weak, as it passed across a Kansas highway. In virtually all cases, winds are actually stronger under an overpass or bridge due to the wind tunnel effect.